Would you like to be a Spiritual Director? For many years, through our affiliates, we have trained numerous students in the art and method of Spiritual Direction. These tuition based two-year programs consist of three – three-day, in-person intensives each year, with reading, contemplation, and other course work assigned in between. CFDM through its training programs offers equipping and training events for groups and individuals such as monthly spiritual retreat days, quarterly renewal weekends, certificate programs in Christian formation and spiritual direction, and other needed programs designed for individuals, churches, or networks of churches. Our next training will be in Reno starting in October of 2019. Join us! 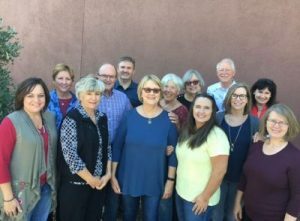 Beginning in October of 2017, Catherine and Douglas Gregg began a two- year training program for spiritual directors in Southern Nevada. 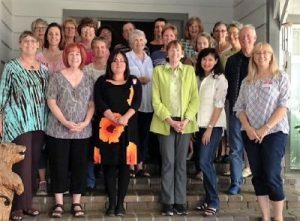 The CFDM Spiritual Direction Training Program is designed for those seeking to serve as spiritual directors. The program builds upon an individual’s spiritual and practical gifts. Participants need to demonstrate a commitment to discerning the call of spiritual director and through program participation, model a positive understanding and response to the call by developing proper skills needed for spiritual direction. The certificate awarded upon completion of the program is not a license for practicing spiritual direction but is evidence of having received training in this area.